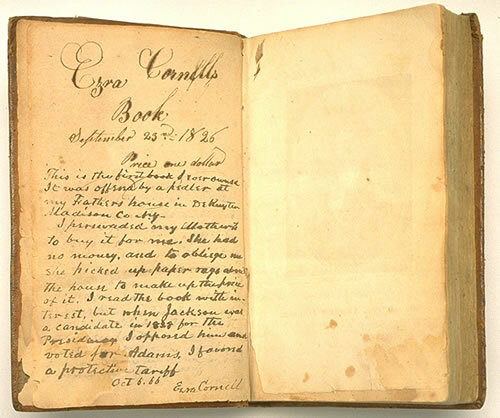 Ezra Cornell annotated the first book he ever owned. Something in my email this morning gave me cold chills. I clicked on it instantly and although it was happening in another country, it delivered the point quite quickly. Children and yes, even adults it said, are rapidly moving away from reading books. The entire civilized world it seems, would prefer to do anything and everything on a hand-held, electronic device of any sort, rather than read a book. Now my introduction into the wondrous world of the written word, began quite early, at the tender age of six months, in a playpen with my first tiny, little book made of cloth. It was a joyous experience and a happy habit that has lasted my entire life. I consider books and reading to be the single most important part of any human beings education, without books, without reading, we are simply just another animal on the planet. This one Human ability, reading, is truly, what sets us apart from the animal kingdom. My passion for reading compelled me to ride a bicycle every single day as a young child, many blocks to the public children’s library in Indianapolis, where I would joyfully fill up the entire basket, take them home, devour them all and then return the next day to do it all over again. Yes, I was a voracious reader. This continued until I reached High School, where at last, I was finally surrounded by books everyday, as a monitor in the Reference Reading lab. Later when I went to College, after raising my three children, I was once again to revel in the glory of libraries, always looking for just the right book to use for one of my classes. After College and leaving California to go live in the East, my luck and love affair with books would continue with a cultural book business, for nearly seven wonderful years. During this time, I had the great fortune to travel to some of the finest Universities in America with my humble little book business, and yes, I had the enormous pleasure of being at Cornell several times. At each event, I was thrilled to talk to the eager learners, who like me, wanted to stretch their minds. Some of my very best customers were staff and faculty at the schools. With over 500 titles of wonderful books about Culture, there was always something for everyone that I met. It was to become, simply the most rewarding job/career/business of my life. Sharing the knowledge in those books with thousands of people all over this country, who were starving for information, was a never to be repeated, or forgotten time in my life. I will always treasure it. Now today, seeing this story and reading about the apparent huge decline in reading books, I am left wondering, how the world can go on, how can we as a species continue to learn and grow, if we stop reading books? Will our descendants give up books completely, will ours be the last generation of great readers? In the future, will we only gather information from smart phones, e-books, iPads or other? Do we truly believe that a handheld electronic device can offer the same satisfaction as reading a “real ” book? The current generation obviously seems to thinks so. Living in Florida now, I wonder just how well these devices will handle lengthy power outages, Hurricanes and the like? But, as for me, I cannot imagine, nor will ever accept, a world without books. 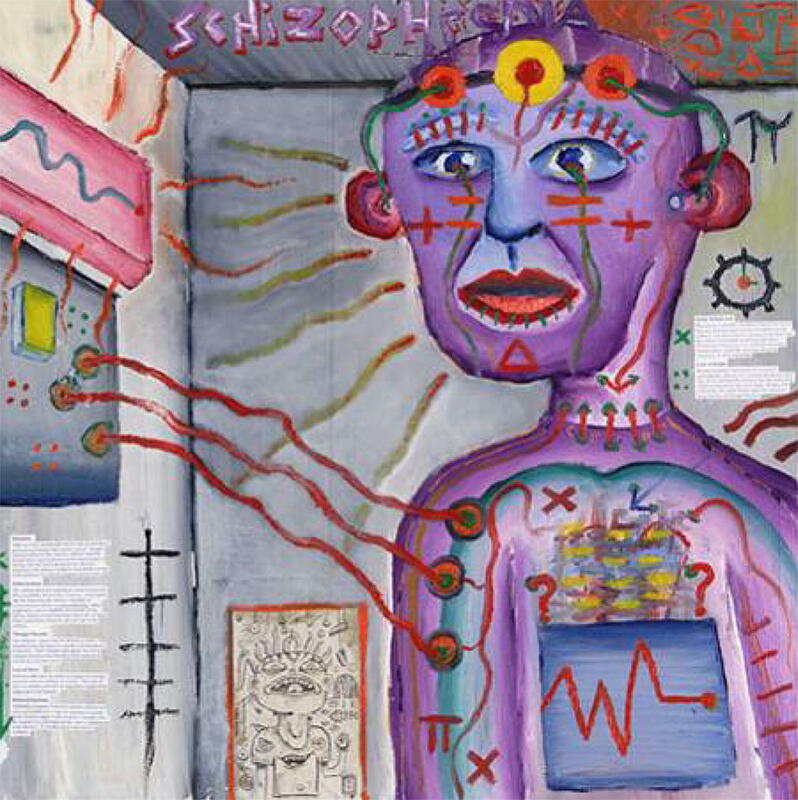 Most of the reference links below are outside of America, but is it really any different here?